19. The works that the Savior did in a human body were intended to point fallen man to God. This is equally true of Christ’s death, “Even the very creation broke silence” through darkness, earthquakes, and awe-struck men, confessing “that He Who suffered thereon in the body was not man only, but the Son of God and Saviour of all.” His death was not incidental to his mission, but “the very centre of our faith” and “no less than by his other acts” reveals God to man. 20. Just as the Son alone could (again) make man incorruptible, renew the Image of God, and give knowledge of the Father, so also he alone could pay the “debt” and “settle man’s account with death and free him from the primal transgression.” This is the second reason that the Savior became man, to settle this debt through his sacrificial death in a human body. 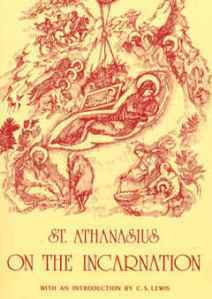 Through this sacrifice, “He showed himself mightier than death, displaying His own body as the first-fruits of the resurrection.” Athanasius explains that though he already dealt with this theme, it is better and safer to repeat it too much than not enough. 22. Objection: It would have been better if He had “avoided the designs of the Jews” and death altogether. But this would have been “unfitting.” The Savior “waited” for death because he had come to put an end to it and provide an “offering on behalf of all.” Further, his death was not an “individual act of dying” but the death by which death is destroyed. Athanasius says that “the supreme object” of the Savior’s coming was to accomplish the resurrection for us; so, it would have been “unfitting” for Him to die privately, as though sick, because this would cast doubt on the meaning of the resurrection. 25. Meanwhile, Christians ought not to doubt the significance of death on the cross. It was necesary for him to be “hanged on a tree” so that he would bear the curse of sin, break down the wall of seperation between Jews and Gentiles, draw all people to himself, overthrow “the prince of the power of the air” (by dying, hanging in the air), and open the gates of heaven. He did not do these things for Himself, but for us. 6. Athanasius describes the “dilemma” that God faced after the Fall. “Man, who was created in God’s image and [by possessing reason] reflected the very Word Himself, was disappearing, and the work of God was being undone. The law of death, which followed from the Transgression, prevailed upon us, and from it there was no escape.” Though it was “unthinkable” for God to repeal the penalty of sin, it was also “monstrous” and “unfitting” for him to allow humankind, made in His image and participating in the Word, to come to nothing because of sin and the devil’s deception. Allowing sin to run its course would defeat God’s purpose in making the human race; if he allowed that to happen, it “would argue not goodness in God, but limitation.” Thus, it was “impossible” for Him to leave us in the state of sin and corruption. 9. The immortal Word assumed a human body capable of death in order that his death might be “a sufficient exchange” for mankind. Through offering his body to death as a spotless sacrifice He “abolished death” for “His human brethren” by “the offering of the equivalent [of their bodies to death].” In doing this, he fulfilled “all that was required” by the law of death. Through taking a human body, the Word clothed us with “incorruption” and “the promise of the resurrection. For the solidarity of mankind is such that, by virtue of the Word’s dwelling in a single human body, the corruption which goes with death has lost its power over all.” This is like a king who enters and dwells in a city; the city is honored and robbers cease criminal activity because of his presence. So it is with “the King of all” who has dwelt in our country and, thus, caused the plan of our enemy, the corruption of death, to cease. 10. This work was worthy of God’s goodness. Having seen his kingdom treated carelessly by its inhabitants and overrun by robbers, he set out to restore it. By His death, the-Word-made-flesh ended the law of death, and made a new beginning of life for us, by giving us the hope of resurrection.” Thus, “By man death gained its power over men; by the Word made Man death has been destroyed and life raised up anew.” This was the first reason that the Savior became man.